Russian President Vladimir Putin has pointed out that the US is making a gross strategic mistake by eroding trust in the dollar as the universal financial tool through its assertive foreign policies. Sputnik has summed up what countries are turning away from the greenback and embracing local currencies. 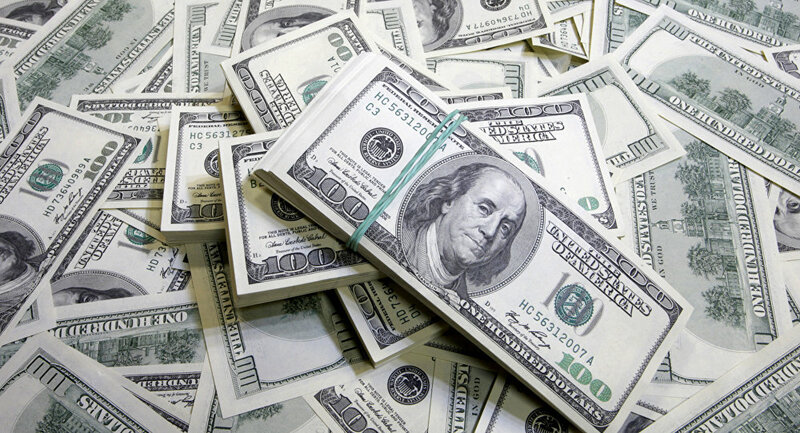 The US dollar still feels rather comfortable, but clouds are gathering on the horizon for the world's primary reserve currency: global players are reducing their reliance on the greenback inch by inch. Addressing the Russian Energy Week summit on October 3, Russian President Vladimir Putin stressed that Washington is "making a colossal strategic mistake" by "undermining confidence in the dollar." "It seems to me that our American partners are making a colossal strategic mistake, they are undermining confidence in the dollar as a universal, in fact, the only reserve currency today, undermining faith in it as this universal tool," the Russian president said. Moscow has signaled its determination to reduce the economic dependence on the dollar, specifying that it does not plan to impose any restriction on transactions in the US currency. The main incentive behind the move is to improve the health of the economy and shield it from Washington's recent sanctions spree. Previously, Andrey Kostin, the president and chairman of VTB Bank's Management Board, came up with the de-dollarization plan that was hailed by the Russian Ministry of Finance. Kostin's grand design envisages a gradual shift to trade in national currencies, especially within the framework of the Eurasian Economic Union (EAEU). For his part, Russian Industry and Trade Minister Denis Manturov told Sputnik in early September that Russia was working on shifting to settlements in local currencies with the countries of the Middle East, Southeast Asia, Latin America and Africa. The issue took on a new significance after a series of punitive measures adopted by the US administration against Russia since the beginning of Donald Trump's presidency. In early August 2018, US lawmakers proposed the so-called "sanctions bill from hell" targeting the Russian sovereign debt. The Islamic Republic of Iran (IRI) has remained in focus of global attention since Trump's unilateral withdrawal from the Joint Comprehensive Plan of Action (JCPOA), commonly known as the Iran nuclear deal, in May 2018 and the resumption of sanctions. The anti-Iran measures have banned business deals with the IRI and cracked down on the country's oil industry. Under these circumstances Tehran signaled its willingness to switch to non-dollar trade exchange with China, India, Russia and Turkey. In addition, in mid-September, a spokesperson for the German Finance Ministry told Politico that Berlin, Paris and London had been working on "maintaining financial payment channels" with Iran together with the European External Action Service and European Commission. 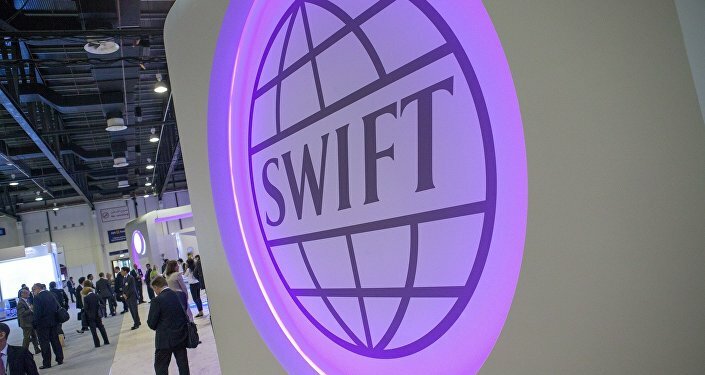 The purported alternative to SWIFT could make non-dollar deals with Iran invisible to American regulators, thus helping Tehran's business partners circumvent the US sanctions. Meanwhile, the IRI is turning to gold as a viable alternative to the US dollar. Ankara's decision to drift away from the greenback was prompted by both economic and political reasons. Trump's tough import tariffs on steel and aluminum introduced in March 2018 and announcement of double tariffs against Turkey in early August sent the Turkish lira down. Over the year, the Turkish national currency has lost 40 percent of its value against the US dollar. At the same time, tensions continue to simmer between Ankara and Washington over the US' Syria policy, the White House's alleged unwillingness to extradite Turkish President Recep Tayyip Erdogan's political foe Fethullah Gulen and the ongoing spat over the detention of a US pastor in Turkey. On September 2, Erdogan announced that Turkey would pursue non-dollar trade with other countries stressing that "the dollar monopoly" should be "ended." On September 7, the presidents of Russia, Turkey and Iran discussed a possible replacement of the US dollar with national currencies in trade transactions during their summit in Tehran. The Latin American state ditched the US dollar in its oil trade in 2017 due to severe sanctions exerted by the White House on Caracas amid the cash-strapped country's major economic and social crisis. On September 8, 2017, Venezuelan President Nicolas Maduro announced that "Venezuela is going to implement a new system of international payments and will create a basket of currencies to free us from the dollar." "We'll use the Russian ruble, the yuan, yen, the Indian rupee, the euro," Maduro stressed. The country continues to struggle with the consequences of the US economic blockade, maintaining non-dollar crude trade. On September 13, Bloomberg reported that Beijing agreed to extend a $5 billion credit line for Caracas. While Beijing avoids dumping the dollar amid the Trump-driven trade war with the US, the country is relentlessly working on the internationalization of the yuan, or renminbi, which joined the International Monetary Fund's basket of reserve currencies in October 2016. Under Xi Jinping, the People's Republic of China (PRC) has made several crucial steps to strengthen the yuan's position, starting with the accumulation of gold to the launching of yuan-priced crude futures in March 2018. 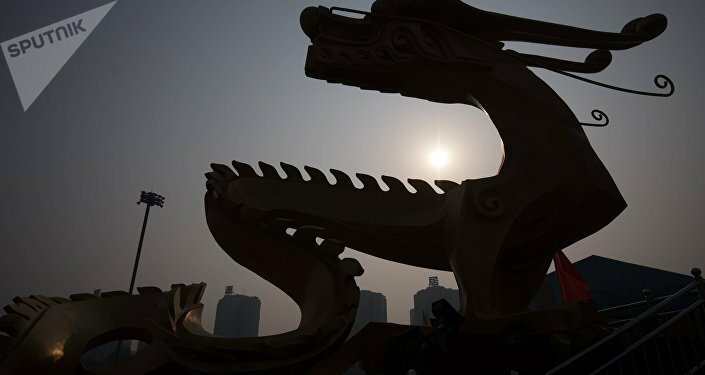 According to observers, the so-called "petro-yuan" could diminish the dollar dominance once the newly introduced contracts become a new global benchmark. Besides, the China-led Belt and Road initiative envisages the introduction of swap facilities in local countries involved in the endeavor to promote the use of the renminbi. Yet another step thwarting the dollar's global outreach is the decision of Asian-Pacific countries to push ahead with the Regional Comprehensive Economic Partnership (RCEP) negotiations, which have significantly intensified due to Donald Trump's assertive trade policies. The RCEP, long regarded as a viable alternative to the Trans-Pacific Partnership (TPP), torn apart by Trump in 2017, brings together 10 members of the Association of Southeast Asian Nations (ASEAN) and six Asia-Pacific countries, namely, Australia, China, India, Japan, South Korea and New Zealand. Although the negotiations over the creation of the free trade zone are still going on, it's easy to imagine what a coveted prize the US is about to lose: the potential bloc accounts for a population of 3.4 billion people with a gross domestic product (GDP) of $49.5 trillion, or about 39 percent of the world's GDP. The bloc does not include the US and is likely to develop while relying on trade in local currencies in the first place. 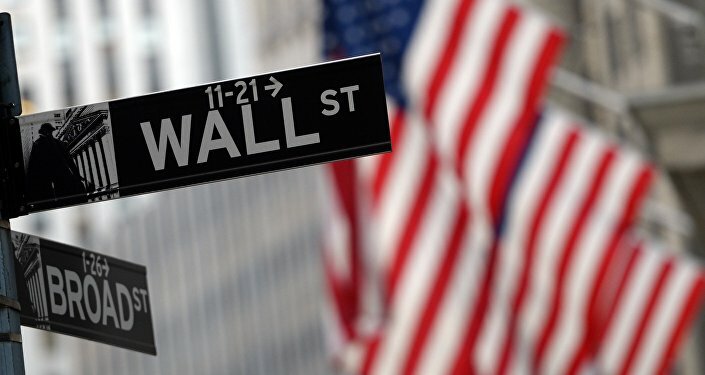 Speaking to Sputnik in July 2018, Dr. Paul Craig Roberts, a prominent American economist, author and former US Assistant Secretary of the Treasury for Economic Policy under President Ronald Reagan, noted that the US economy may be seriously hit in case the dollar loses its reserve currency status. Can Non-Dollar Payments Help EU Avoid US Sanctions in Trade With Iran?